John Magne Lisondra is a self-taught artist from Philippines and a graduate of BS Computer Science from NORSU-G last 2007, which is slightly a different course. He started painting when he was 14 years old during his 2nd year in high school. He was inspired by the landscape paintings of Boy Velara, a native artist in Negros Oriental. When his father brought 3 landscape paintings from him (Boy Velara) and he saw it then decided to paint because it inspires him alot. The colors, shapes, brush strokes and it really looks real. He started practicing after school hours and slept late at night. He was very eager to get what he wanted. It was not really that easy. To be good at one thing, you need to follow the steps of learning process. Discovering the ways of brush strokes, mixing colors, creating compositions, it takes time and there are no shortcuts. He liked to paint Philippine landscapes and some commission works. He did also portraits. He liked the most works of Caravaggio, Rembrandt, da Vinci and Amorsolo. He went to manila last 2009 because someone offered him to work. He started joining art competitions in manila with his friend Froilan and Bernie Jay in 2010. 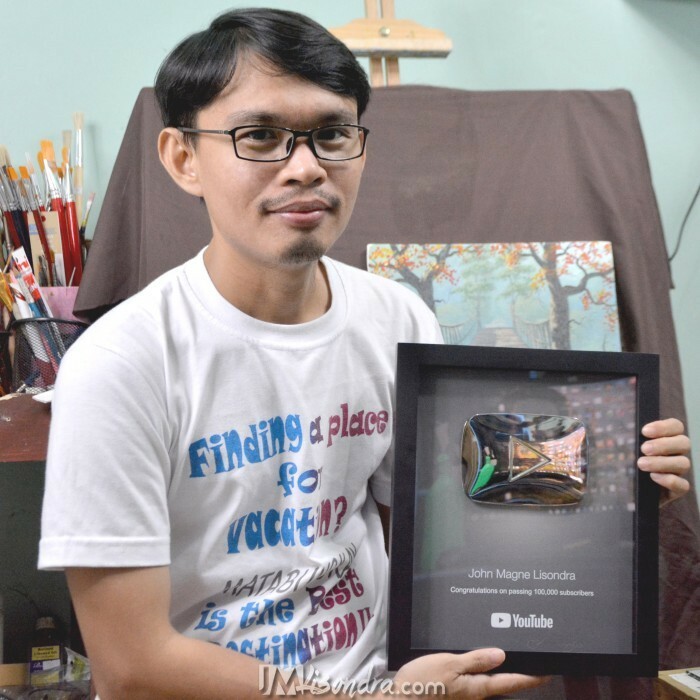 He grabbed his first award in 2011 at Amiya Raya On-the-spot painting competition as First place, and continue joining competitions hoping to grab another award. But many times he failed until in 2012 he won as Grand prize in Maningning Miclat Art Award and Second Place winner in DFA-ASEAN Philippines Painting Competition last August 2013. For John Magne, painting is his life. Life without brushes and paints is just like a body without hands, a mountain without trees and river without fish. Art is the reflection of an artist’s heart and mind. Donate to help me make my tutorial videos free to all. Any amount will do using paypal.